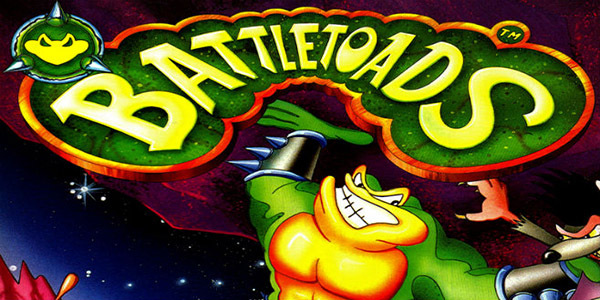 On November fifth of last week, Microsoft filed for a trademark of the classic SNES game Battletoads. The trademark was identified as "game software, entertainment services, namely, providing online video games" meaning that Microsoft could be thinking about making another version of the game. In 2002, Microsoft had bought Rare who were the game developers behind the making of Battletoads. Fans thought that there would have been another game since then but have yet to see one. In Battletoads, you played as a toad whose mission was to stop the Dark Queen and her army of space mutants. The game was known for its difficulty and eventually spawned sequels on arcade platforms but not for home systems. There was a Battletoads game in production slated for the Gameboy Advance but it obviously never saw the light of day. Even with the purchase of the licensed trademark, there is still a chance that Microsoft won't be making another game and that they are just buying up game titles again. For those of us who were able to play the game when they were younger know that it was a good play and are hoping for a remake. How do you think they should go about its sequel? Maybe another arcade style game. If you would like to see the trademark application, you may see it here.